It used to be that when a person retired, they were usually 65 years old, said their goodbyes and started a life of travel, fun or just plain relaxation. That was then. Today, there is a fine line between when people, and what they do with the rest of their lives. Baby boomers are a prime example. They are notorious for accumulating wealth and retiring earlier in life and then immediately taking on retirement jobs, because they can’t stand not working. Other retirees simply cannot afford to live the life of a retiree and take on retirement jobs to make ends meet. Whatever the reasons, more seniors and retirees are choosing to take on retirement jobs, and it is a trend that isn’t likely to end anytime soon. According to the National Council on Aging, one in three United States citizens over the age of 65 is working in some kind of retirement position at least part-time and often full-time. One of the main reasons people look for retirement jobs is because they need the extra income. Many are looking to a part-time position to postpone using their pensions right after retirement. There are others who don’t need the day to day living expenses, but choose to work to afford some of the luxuries in life, which they could not afford if their didn’t work. Still others work to keep health care costs down by receiving coverage through their employer. Those that are lucky enough to not have the need for money as part of the equation for working, work because they love it. Creative people often have the need to continue to express themselves as consultants, artists, writers or entrepreneurs. They work for the pure personal satisfaction and would be virtually lost without some kind of retirement job. Another common reason for retired people to take on a job in retirement is they love to interact with people on a daily basis, and most retirement jobs offer the vehicle needed to build up a network of friends and colleagues. Retirement jobs offer a comfort zone for retirees who have trouble adjusting to a completely different lifestyle. They need a safe alternative to work at least part-time to make the adjustments that go along with retirement. There are many reasons for making the decision to take on a retirement job, and many ways of going about finding the right fit for the many personalities and strengths that retirees looking for retirement jobs have. One idea is to stay with your current or past employer on a part-time basis. Studies have shown that many employers will allow older employers to cut back on their hours and not take a full retirement. In these cases, it’s best to check with the company’s Human Resources Department to see what alternatives are available. In some cases, employers allow older workers to shorten their work day and keep the employers’ health benefits they were receiving for full-time work. Some employers will also allow older workers to receive pension benefits while working for the company on a part-time basis. There are many companies that are very interested in hiring retirees. 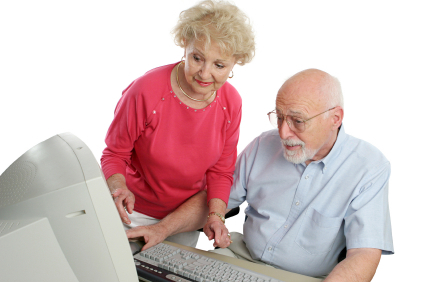 Some employers have special recruiting opportunities for seniors looking for retirement jobs. Seniors holding membership with AARP will find that the organization has several partnerships with employers offering recruitment programs, and will hire and train seniors in many positions designed just for them. The National Council on Aging is another great resource to check out, because this organization also helps connect older workers with prospective employers. Over the years, many retirees have gained an extensive amount of knowledge in their chosen profession. This can be put to good use by offering services as a consultant on a freelance or short-term basis. Many companies prefer hiring freelance or contracted consultants for a variety of projects, and the money earned is generally very attractive. Those choosing to offer consulting services on a part-time basis can often charge rates that will earn them as much as they made working full-time. A host of companies use temporary employees or temps to help out their full-time employees or to take on special projects. Temps can often make as much money as permanent employees, averaging between $10 to $30 per hour, depending on the nature of the work. If a retiree finds the job interesting and likable, there is often the opportunity to turn a temporary into a permanent part-time or full-time position. Retirees who have a knack for cooking are finding starting their own catering business is fun and rewarding. Their favorite past time becomes a money making scheme and a fun and creative venture. Some seniors tie in consulting services with catering by offering services to local catering companies. This is a great alternative for those who have no desire to start their own catering business. Seniors who have always wanted to take their ‘green thumb’ to bigger and better places outside of their own back yard are finding retirement jobs at local florists’ shops. The schedules are usually flexible and don’t require a whole lot of experience. There are many programs, job training opportunities and employment possibilities for seniors through Federal and state governments and local community organizations. The Senior Community Service Employment Program (SCSEP), administered by the United States Department of Labor is one example. It helps people 55 and older who are low-income train for a number of community service retirement jobs. There is also the Career One-Stop Centers and America’s Job Bank offered by local community organizations. More information about these services can be found online. Since many retirees are adding retirement jobs as part of their retirements plans, companies are rethinking their hiring processes and thinking more seriously about hiring seniors as part of their workforce. Their decisions are driven by aging workforce demographics that, according to a recent AARP survey, show that 80 percent of all baby boomers plan to take on retirement jobs after retirement. Companies are therefore redefining the definition of retirement, what it means, and how it affects human resource policies and the workplace. Retirees can work and still receive Social Security retirements benefits. When working in a retirement job, retiree benefit amounts will be reduced because their earnings until they reach retirement age. At full retirement age, benefit amounts are recalculated omitting the months when the government withheld or reduced benefits because of excessive earnings. The government uses a special formula to determine how much of a reduction in benefits must be taken. For example, if a retiree is under full retirement age for a year, one dollar is deducted from benefits for every two dollars earned above the annual limit of $14,160 for 2010. Then, the year that full retirement is reached, one dollar is deducted for every three dollars earned above another limit. If full retirement age is reached in 2010, the limit on earning in the months before full retirement age is reached is $37,680. For more information about the formula and other details go to: www.socialsecurity.gov/retire2/whileworking.htm. I am looking for work to survive as I got family problem which left me without any financial help. I have work before when young as clerical clerk for various international company such as Union Carbide/CDC . I have even work as shop supervisor at two organic shops. I have experience for various jobs which I sincerely hope will help me to find a job .